Surprise! 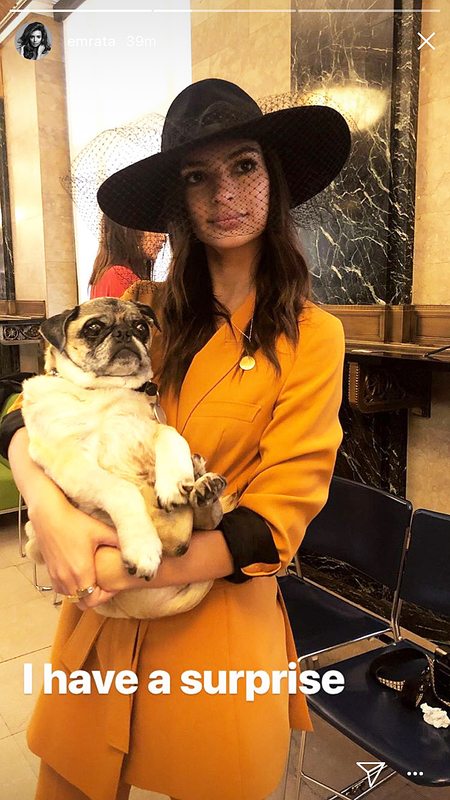 Emily Ratajkowski married her new boyfriend, Sebastian Bear-McClard, on Friday, February 23. Ratajkowski looked stunning in a chic orange suit, a black wide-brimmed hat and a black veil, while Bear-McClard wore a light blue blazer over a black T-shirt. 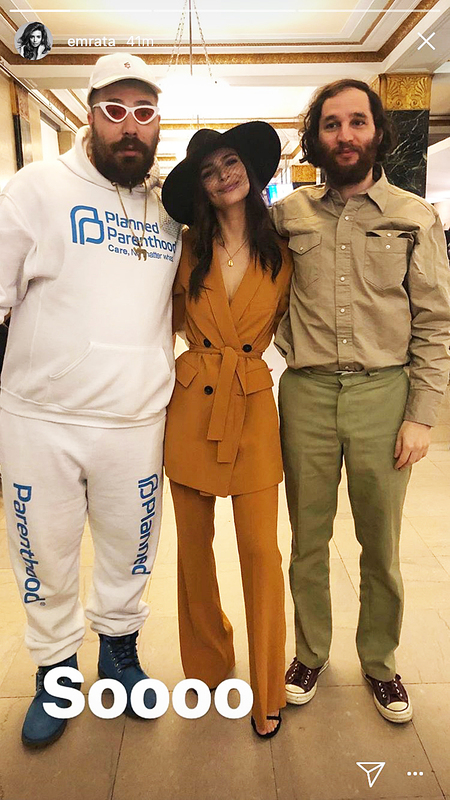 Social media celebrity Josh “The Fat Jew” Ostrovsky was among the small group of friends who headed to city hall for the wedding. The news comes just a few weeks after the New York Daily News reported that the Gone Girl actress was no longer living with her boyfriend of three years, music producer Jeff Magid. Ratajkowski was then spotted kissing Bear-McClard on Valentine’s Day, confirming that she had moved on.